[slideshow]Today in Plan Do and Review we have been dancing with streamers and pom poms and dancing to all different types of music including Bulgarian music. We have also been in the role-play area which is now a pirate theme. Please take a look! Today in Plan-Do-Review I did some sewing. It was my first time I did sewing. Today I was sewing a Finger Puppet. 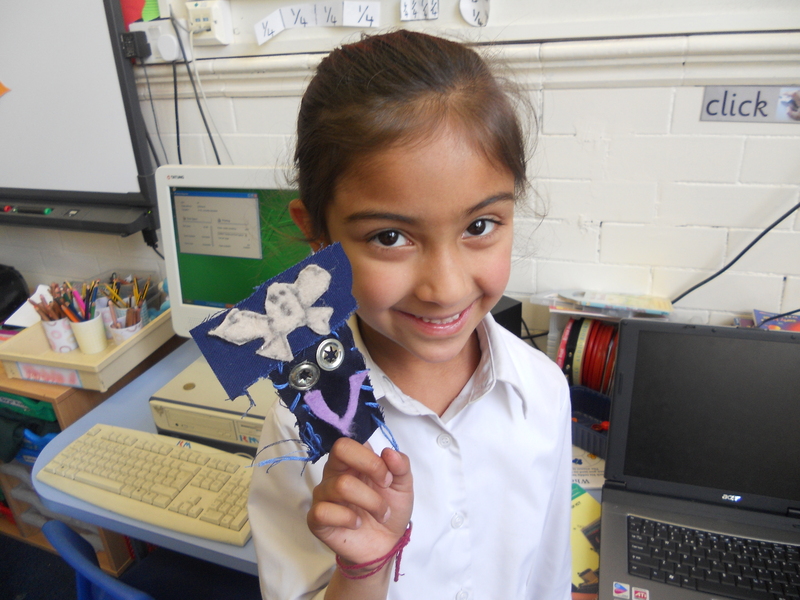 I made a Pirate as our topic is “Pirates”. I also used felt for my pirates hat and on top of the hat was a skull and crossbones. My pirate was a happy pirate. Today I put this Pirate jigsaw puzzle together all by myself. As we are learning about Pirates. I really enjoy doing jigsaws and this Pirate jigsaw is my favourite one. 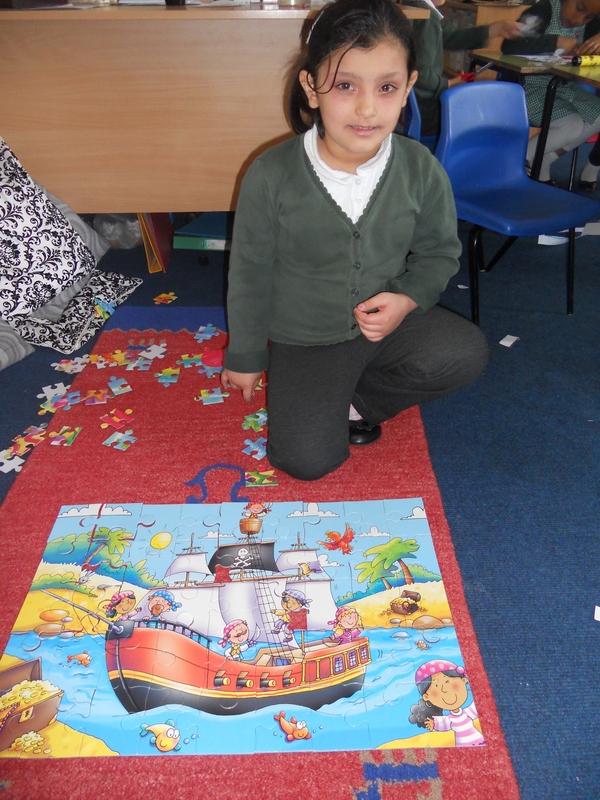 I was so pleased with myself when I put all the pieces together and finished the Pirate jigsaw. Today I was a pirate. To be a great pirate I needed to make myself a pirate flag. On my flag I put on a skull face with cross and bones. 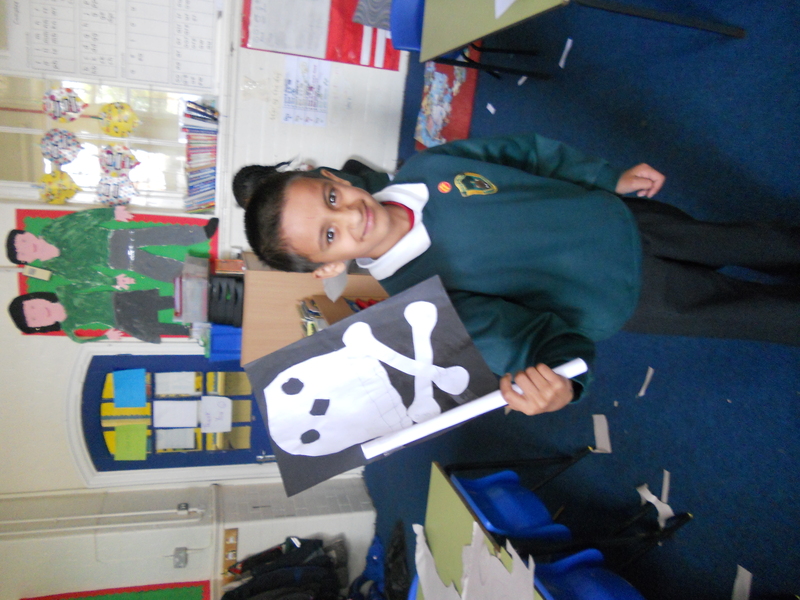 I had so much fun making my pirate flag. Today in Plan-Do-Review I had a go at sewing. It was my first time doing this. 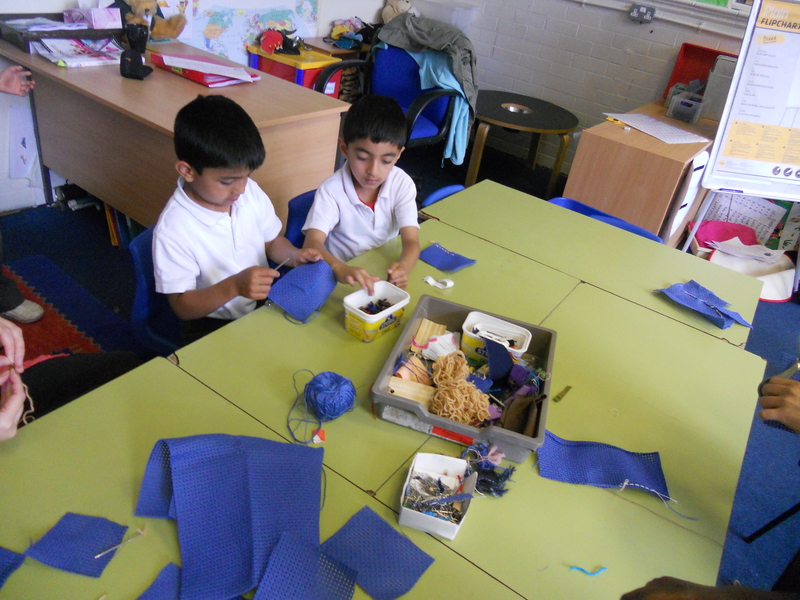 I was really careful using the needle and I also used different material and I also used buttons too. I had so much fun doing sewing today.